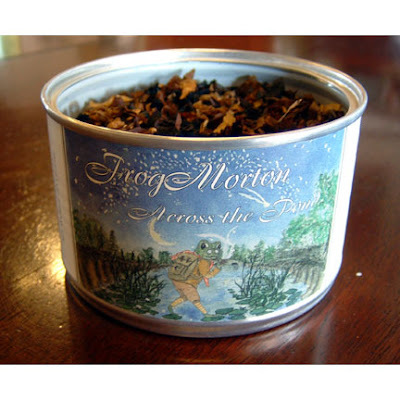 The following is a review I did of McClelland's Frog Morton Across the Pond on 2/21/06. A cool smoking, fragrant blend enhanced with Syrian Latakia. Frog Morton Across The Pond is a very decent smoke. However, too light for my tastes to keep in rotation or supply. With this blend I almost forget I'm enjoying a bowl full of tobacco. This would be reserved at best for stacking wood, working in the garage, etc. i.e. doing something where I don't care to take too much notice of what I'm smoking, for some an all day smoke perhaps. With so many other fabulous blends within and without the Frog series, I will not be keeping this in supply but Across The Pond is no doubt a very well blended weed. una vita sana non pu non essere correlata ad una alimentazione corretta. kaj drugega jim lahko povem in oni naro ijo. Paso # 1: Debes hacer tu investigacinAntes de iniciarte en cualquier dieta, debes hacer tu investigacin. Debes conocer como mejorar su salud, este es el programa de prdida de peso para usted. fort max, dietas e emagrecimento rpido. insight with you. This is absolutely a remarkable blog. insightful.. It's really nice that you spent the time to do all of this. I must say, I most likely spent about three hours on your website. Oh well, it was nevertheless beneficial. matter that I feel I'd hardly understand. The whole thing just goes over my head because of how intricate and broad it all is.. I am eager for your following publishings, I will try to get the dangle of it.